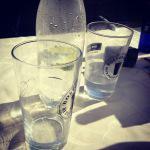 Celebrating the Diamond Jubilee with Plenty of Gin! It’s not everyday that a monarch has been on the throne for sixty years, but that’s exactly what Queen Elizabeth II has done. In fact in Britain’s case it’s only happened once before (with Queen Victoria, if that nugget of information has not yet been passed on to you). So, just in case anyone was paying attention we thought we’d put on a bit of a celebration. Yes, up and down the country bunting was strung up and the world’s cameras focused in on London. A four day weekend of joy, jubilation and celebrating her majesty and all she has done over those sixty years. How did I spent the time, I hear, you ask; well, I took advantage of my first days off in a few months and went to visit a good friend of mine who is doing a PhD and lives in the lovely village of Bramham, Yorkshire. We drank much gin, several glasses of wine, lots of Pimm’s, sang songs, went to a street party, had a little more to drink, watched the beacon being lit, imbibed a little bit more and had an utterly fantastic weekend. Oh, and we went to see the meerkats at Leed’s Tropical World – AMAZING. I very much want one now. Now I’m back at home, back at work and laughing at the photographs (we may have bought a straw bale on Saturday and then used it as a sofa). By all accounts I think Britain can be rather proud of its self, just a shame it rained quite so much on Sunday. Herding ducklings at Bramham Gala. 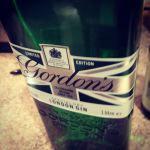 A suitable adorned bottle of Gordons. Baby meerkats at Tropical World, Leeds. A meerkat on the lookout at Tropical World. A rather wet end to the celebrations in Wetherby. 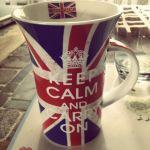 The best cup for the weekend. Bunting down the High Street, Bramham. Gin O’Clock at the street party! Sunset over the street party and the bunting.